The Carletonian is Carleton's weekly student-run newspaper. 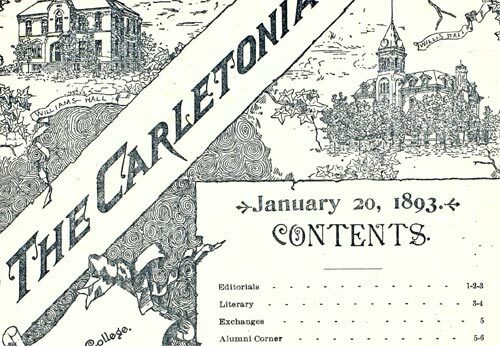 The Carletonian is one of the country's oldest student-run publications, with the first issue appearing in 1877. It can take a few weeks for the latest issues of The Carletonian to be added to the archive. To read recent issues, please visit The Carletonian Web site. To read older issues, visit the Carletonian Archive.